Professor Badreldeen is the Director of the Feto Maternal Medicine Centre in Doha and is a Professor of Obstetrics at Weill Cornell Medical College – Qatar. 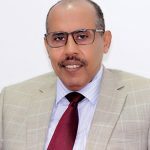 He previously held the position of Chairman of Obstetrics and Gynecology at Women’s Hospital, part of Hamad Medical Corporation, for ten years. Prior to moving to Qatar, Professor Badreldeen was also a consultant obstetrician and gynecologist (with special interest in perinatal medicine and high-risk pregnancy) at Dorset County Hospital in Dorchester, UK. Professor Badreldeen is a founding member of the International Society of Ultrasound in Obstetrics and Gynecology (ISUOG), a board member of the World Association of Prenatal Medicine, founder and president of the African Association of Perinatal Medicine, Founder of the Fellowship Program in Advanced Training in Obstetrics and Gynecology, board member of the Fetus As the Patient Society, founding member of the Academy of Medical Educators, and the Regional Director of the Ian Donald School of Medical Ultrasound. 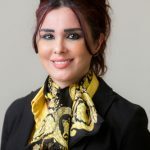 Professor Badreldeen has also published over 50 papers in peer-reviewed journals and is editor of the ‘Basic Book of Ultrasound In Obstetrics and Gynecology’. He has written many chapters in several books, acts as a reviewer for many international journals, and gets invited to speak at many international events. He specializes in the management of severe IUGR, of fetal anaemia, fetal echocardiography in high risk pregnancies and fetal anomalies.